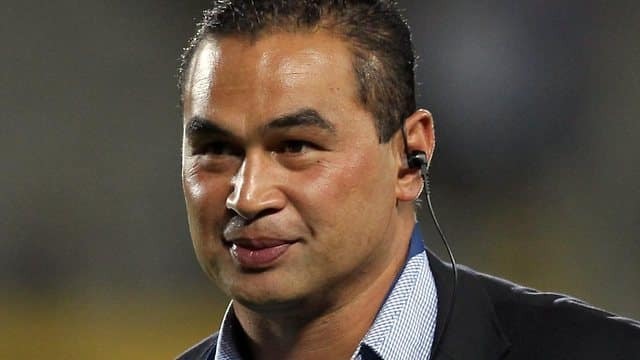 Pat Lam is a New Zealand born rugby union coach who in May led Connacht Rugby to their first championship win in the Guinness Pro12 competition. Of Samoan descent he was previously an international player representing New Zealand and Samoa as well as playing in the English Premiership. Pat first played for Samoa in 1991 and went on to captain them and represented them in three World Cups, retiring from international rugby after the 1999 tournament. Interestingly Lam was capped once by the All Blacks in 1992 in a non-test game against Sydney while also representing the Barbarians. Playing mainly in the No. 8 position Pat lined out with Auckland, North Harbour and Crusaders, before moving to England where he first played for Newcastle Falcons winning the 97-98 Premiership. He subsequently moved to Northampton Saints, with whom he won the 1999–2000 Heineken Cup before returning to Newcastle where he finished his career in 2002. Coaching stints with Scotland as assistant coach, Auckland and head coach of Super Rugby team the Blues from 2009 to 2012 led to Pat’s appointment as Head Coach of Connacht Rugby at the start of the 2013-14 season. Embracing the provinces culture but applying his own brand of rugby & leadership qualities Pat has transformed the fortunes of the team by guiding them to their first Guinness Pro 12 in May 2016. A firm advocate of adopting process driven strategies under Pat’s leadership the Connacht squad played an innovative and exciting brand of rugby which won them many admirers along their path to title success. Pat is an engaging and passionate speaker who imparts his experiences & learnings on building a winning culture, process driven activity, leadership and community engagement throughout his distinguished career but most especially through the prism of the recent evolution of Connacht Rugby. He is also a strong advocate of building on success to advance the wider aspirations of an organisation and it’s community. Pat is available for Q&A or interview style presentations, in-house team workshops and corporate launches.